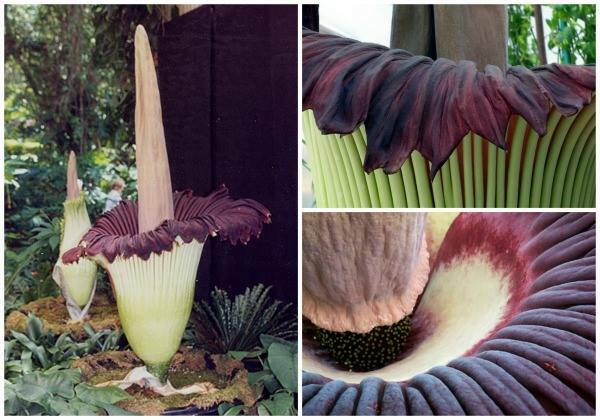 The three-metre-tall titan arum is one of the world’s stinkiest flowers. It smells like rotting flesh to attract flies and other insects which get stuck at the base and digested. It also only blooms for a few hours to a few days, so is often only seen in bloom in gardens rather than in the wild. 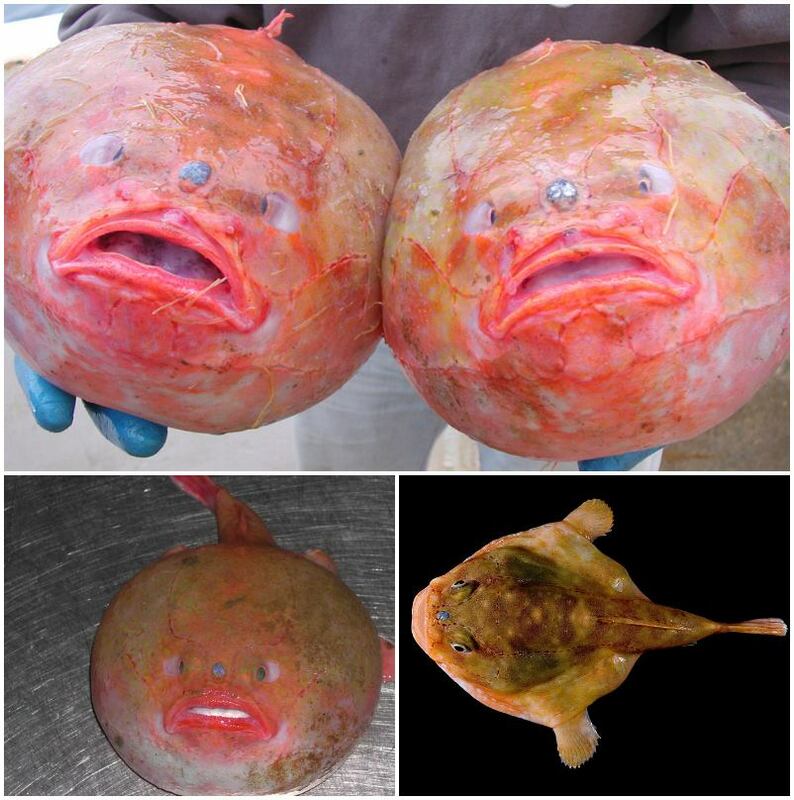 This is the red-eyed gaper, a type of anglerfish that can be found up to 2km below the ocean's surface. Its large head and red blobby face may not look too attractive, but the gaper lures prey in with the shiny patch between its eyes. 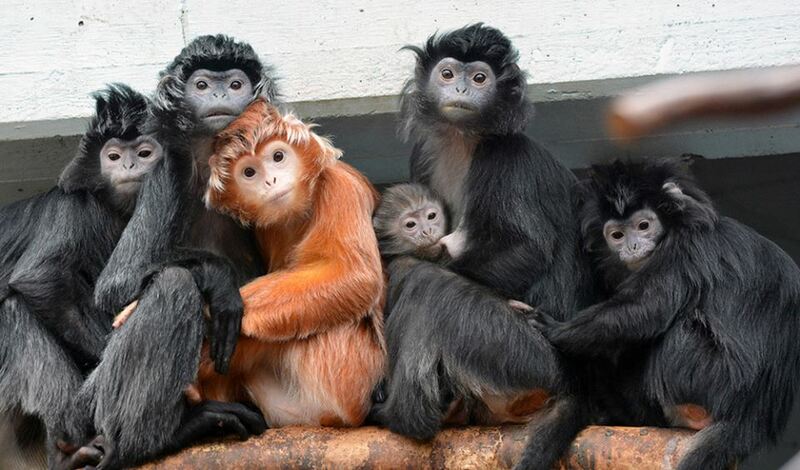 Some species of lutung monkeys from Southeast Asia are born with bright orange coats. 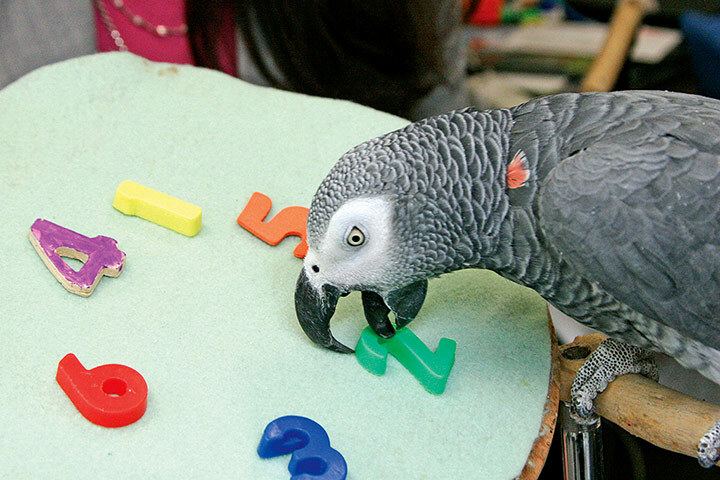 Called natal coats, they're thought to have evolved to stop adult males killing young males. In a rare subspecies, the golden coat is sometimes retained into adulthood. Love pizza and sleeping? 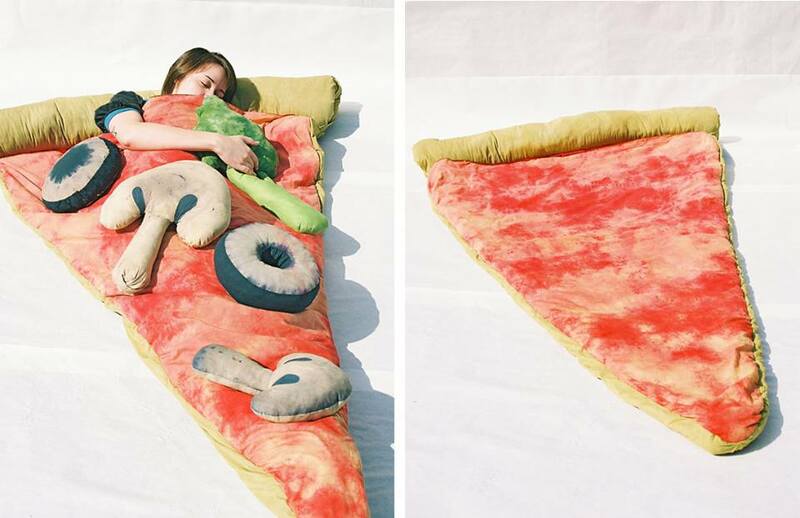 B Fiber & Craft makes pizza sleeping bags with toppings pillows. Does it rain in the Sun? 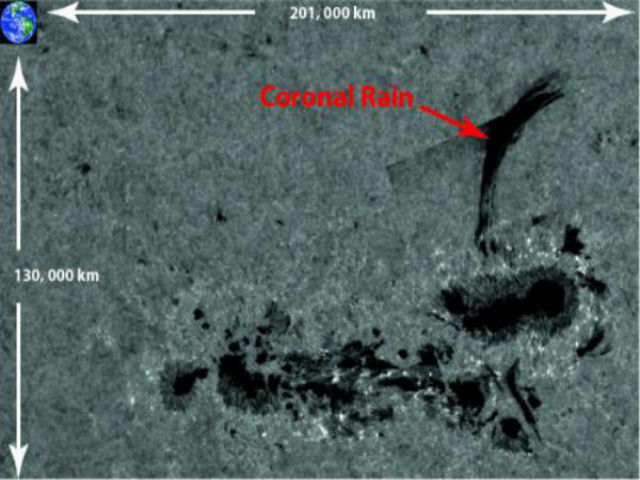 Physicists have figured out how colossal rainstorms are formed in the Sun's atmosphere, and it's surprisingly similar to how we get our rain. It turns out that plasma rain falls on the sun at 200 000 km/h. Each raindrop is the size of Ireland! 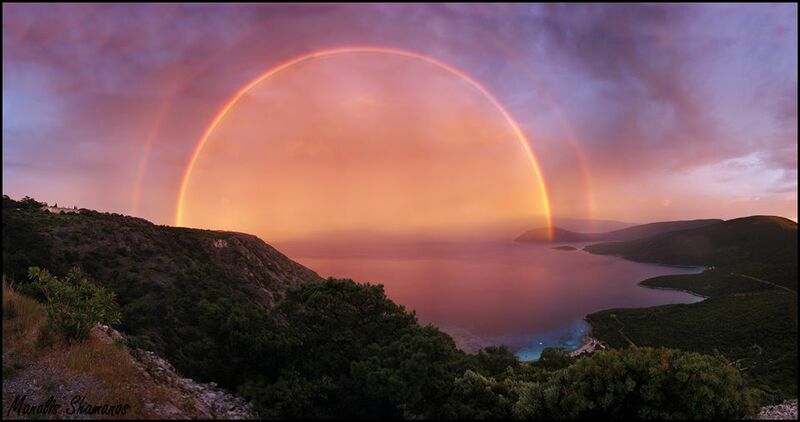 This double red rainbow was photographed over a Greek sunset by Manolis Thravalos. The optical phenomena is a result of Rayleigh scattering, which is the scattering of light by tiny particles in the atmosphere. This scattering is what causes the Sun to appear yellow and the sky to appear blue, and also results in red sunsets where the atmosphere is thicker around the horizon. 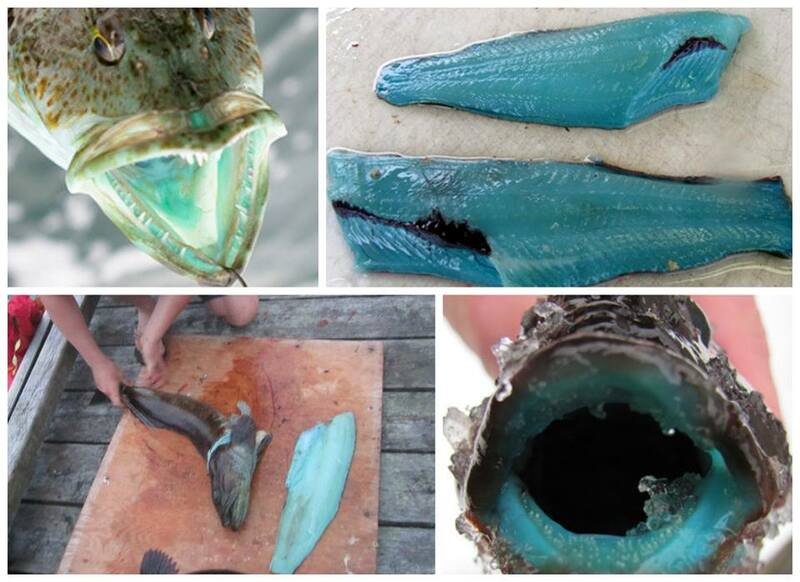 Would you eat this mysterious blue fish? Lingcods are sometimes found with amazing, edible blue flesh. A bile pigment called biliverdin seems to be the cause, but exactly how it gets into the flesh of the fish remains a mystery. 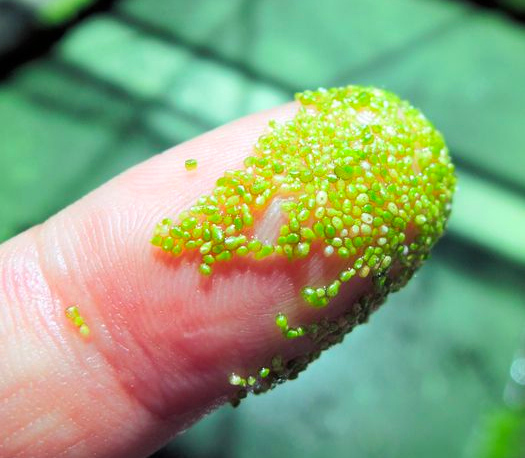 Meet Wolffia globosa, the smallest flowering plant in the world. 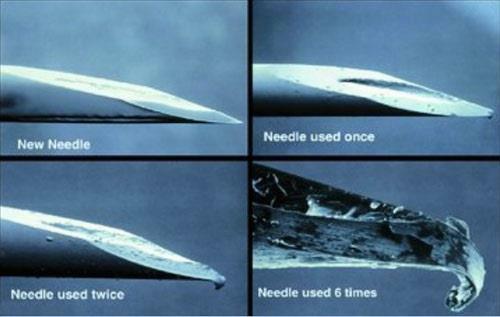 The plant measures less than 0.2 mm in diameter, and can be found in streams and ponds in Australia, Asia and some regions of the Americas. 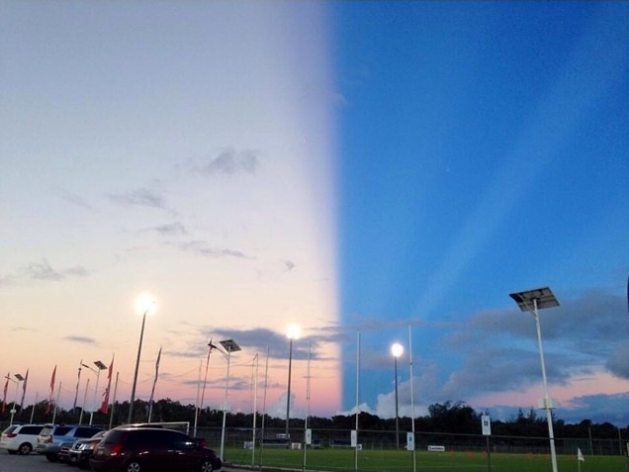 This was the sky over Guam earlier this week. The effect is caused by antisolar rays - rays of sunlight that converge at a point in the sky exactly 180° from where the Sun is. Beautiful people make more daughters, according to a study. Why? It is more genetically advantageous for females to be attractive, as (in a heterosexual relationship anyway) males are more likely to choose a female partner who is attractive for both short and long-term mating, while a female partner is less likely to choose an attractive male for the long-term. 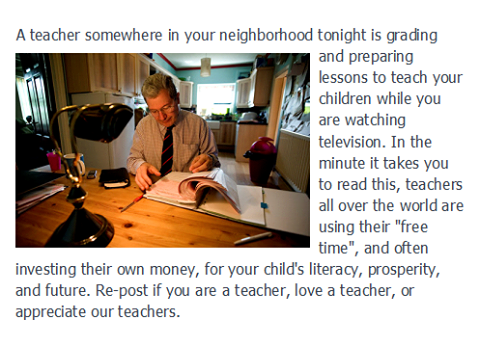 Thus, for procreation among attractive people, it is less necessary to make males. 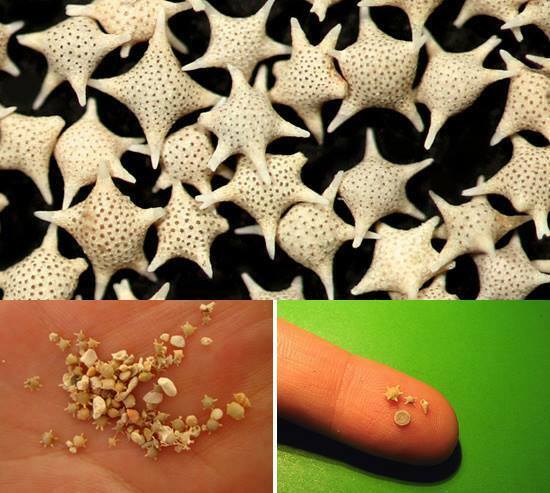 The sand in Okinawa, Japan, is made up of tiny stars! These "stars" are exoskeletons of marine protozoas (foraminifera) that have washed up, most famously, on Okinawa's Hoshizuna Beach. Lake Baikal in eastern Siberia is the oldest freshwater lake on Earth, and one of the largest and deepest, containing around one-fifth of the world's freshwater. 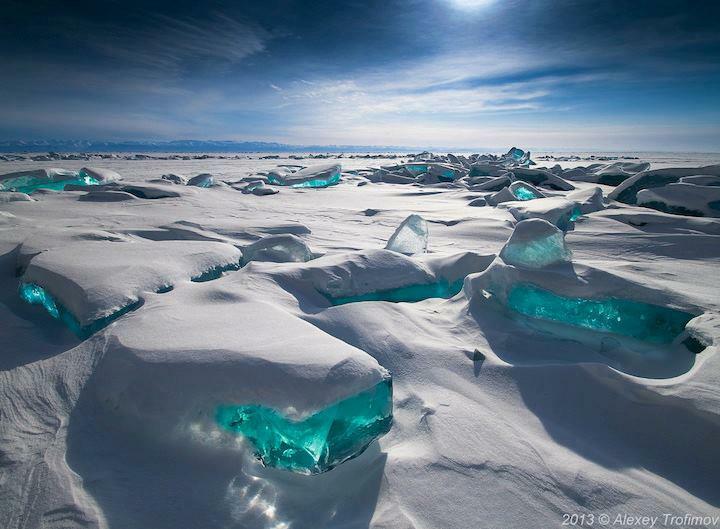 In winter, it freezes over, and these beautiful transparent, turquoise masses of broken ice appear momentarily in March, caused by the unequal structure, temperature and pressure in the main body of the packed ice.